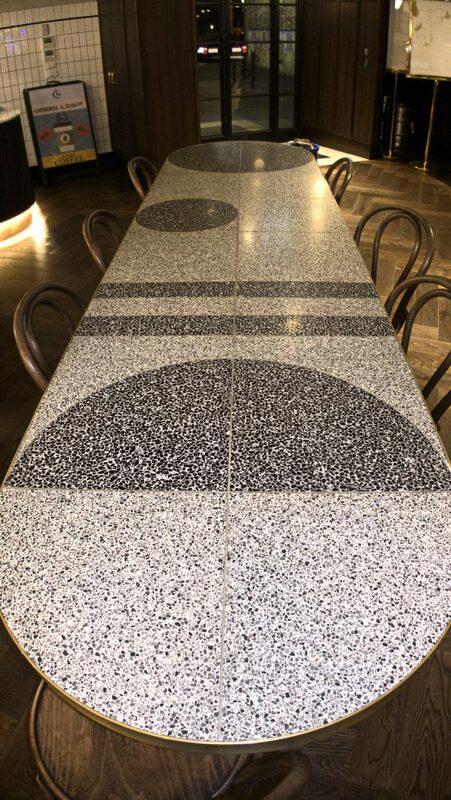 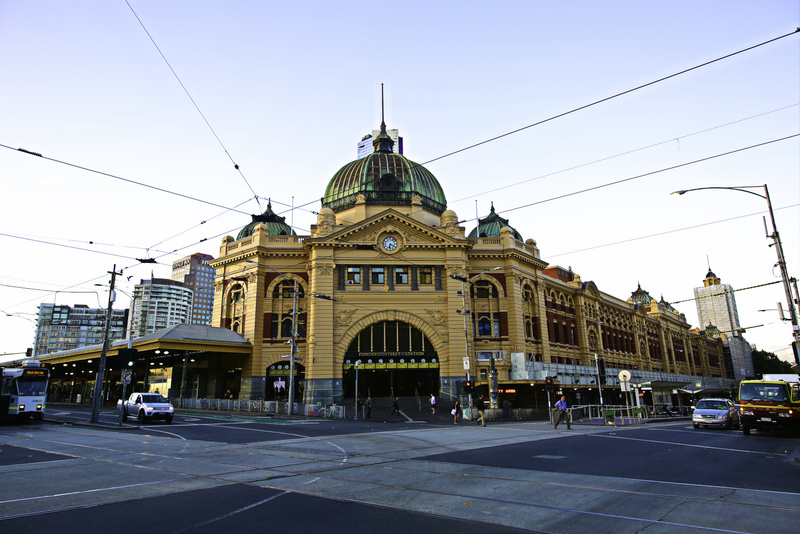 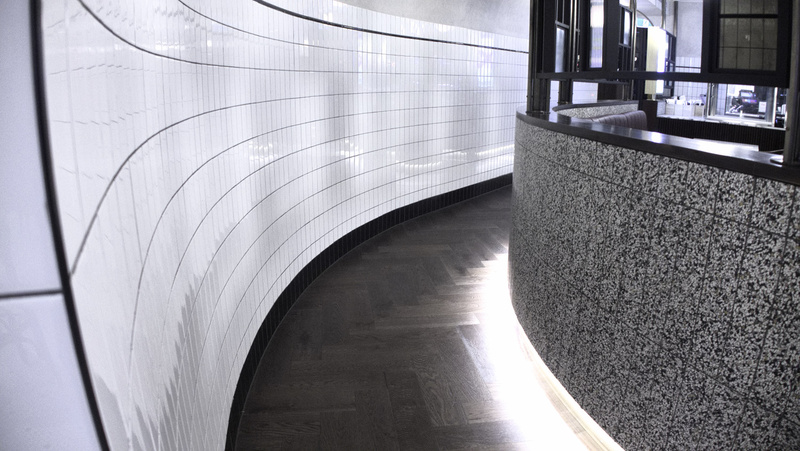 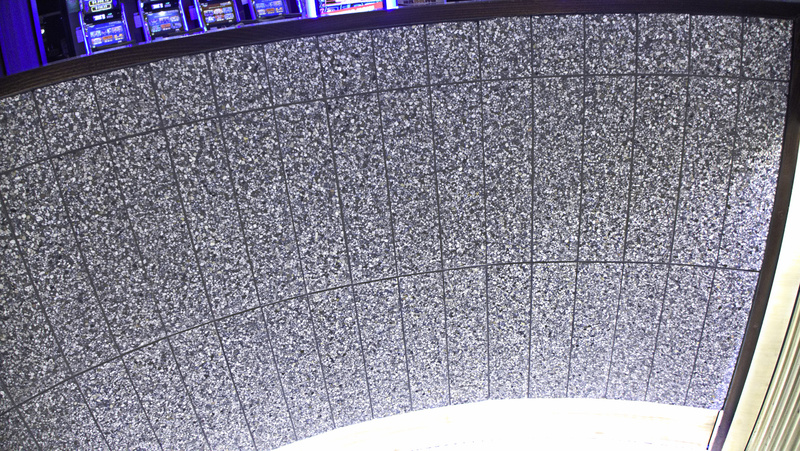 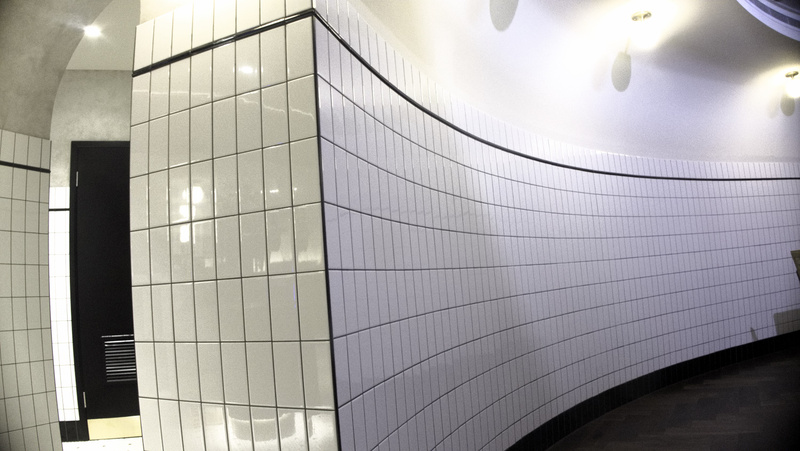 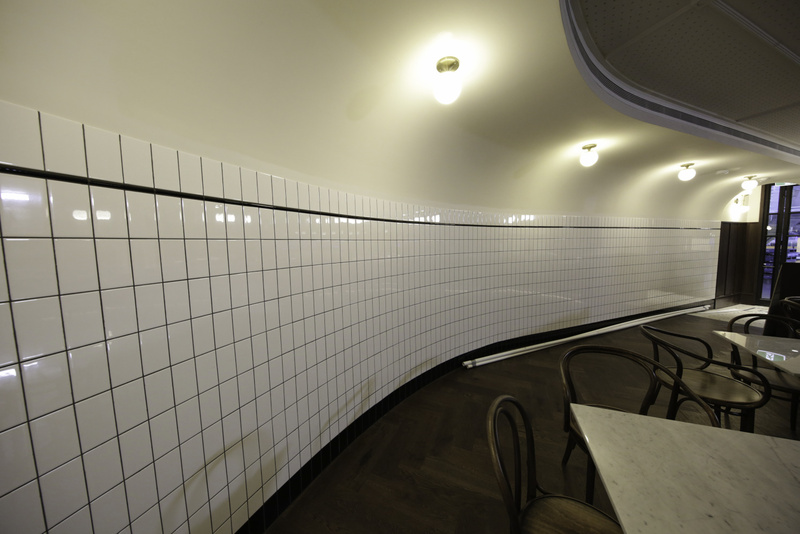 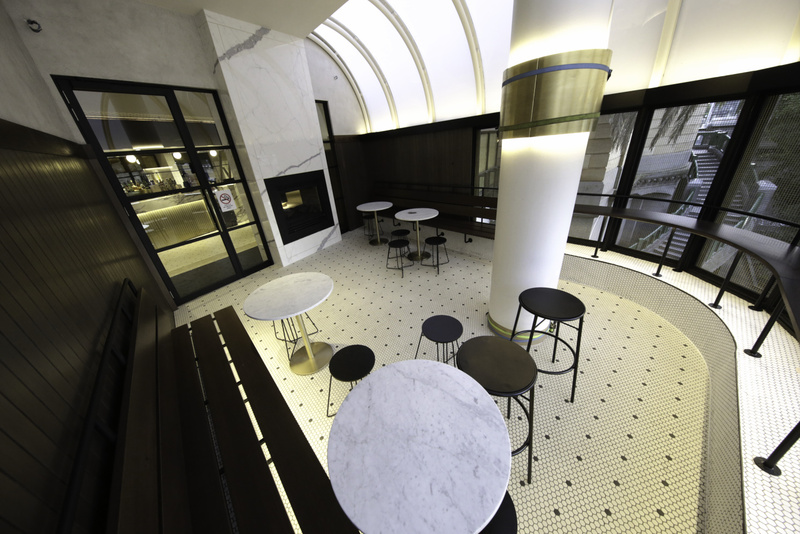 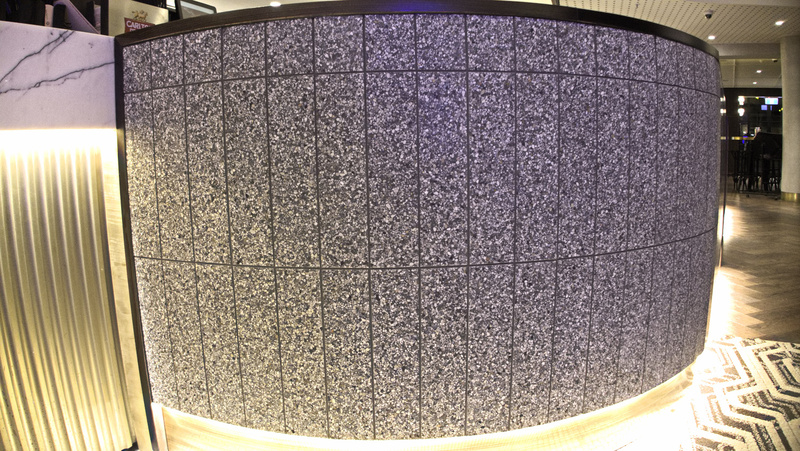 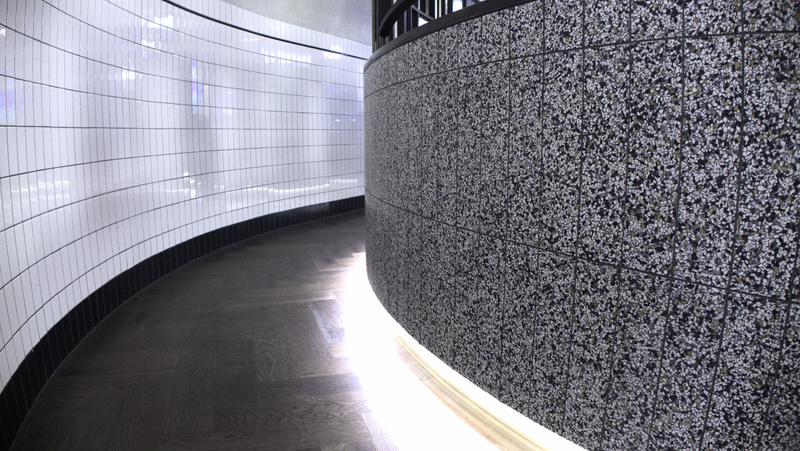 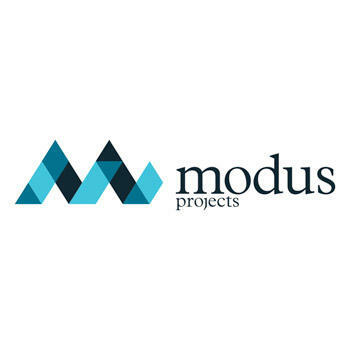 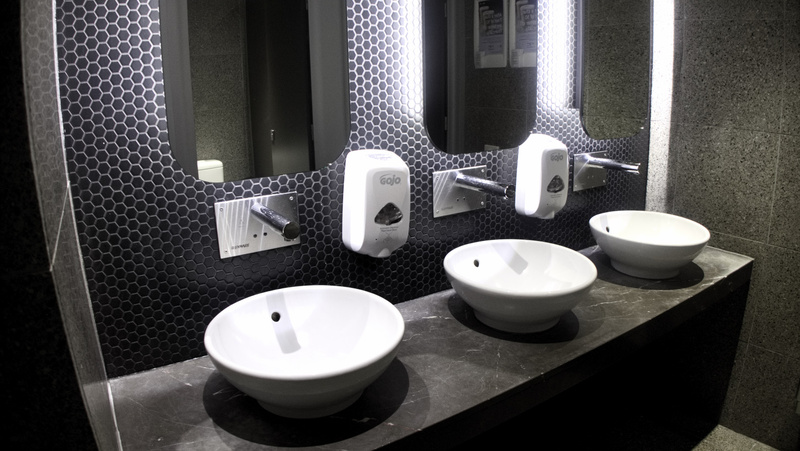 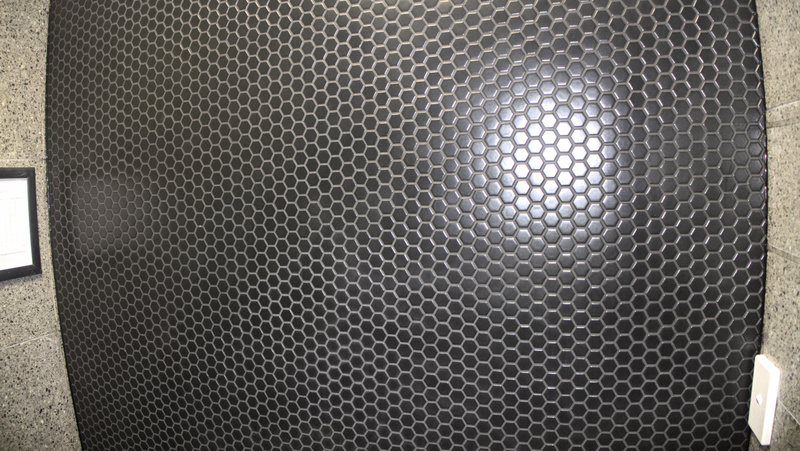 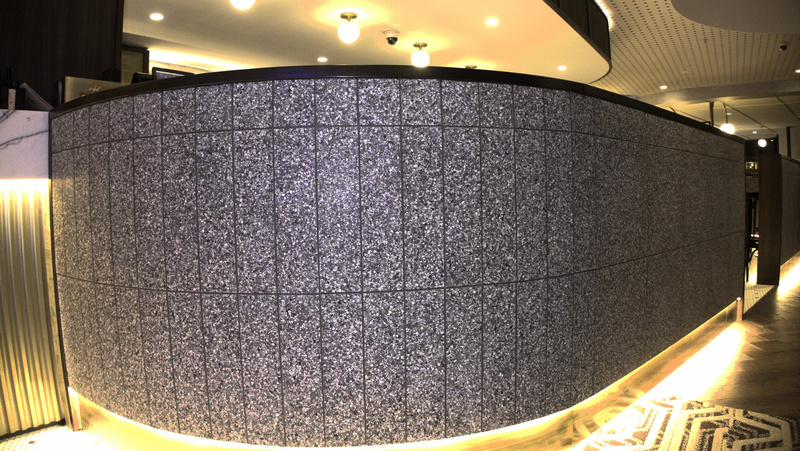 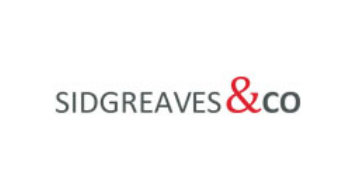 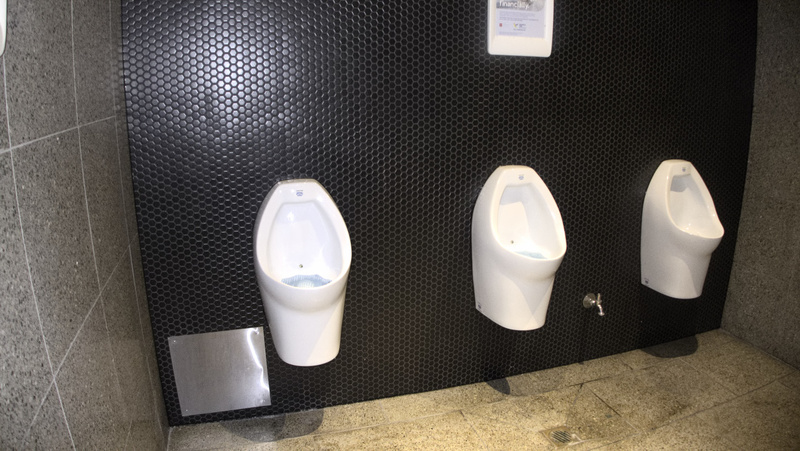 Express Tiling was awarded this project from Schiavello which consists of 16 different tiles all sourced by the Express Tiling Team and supplied and installed. 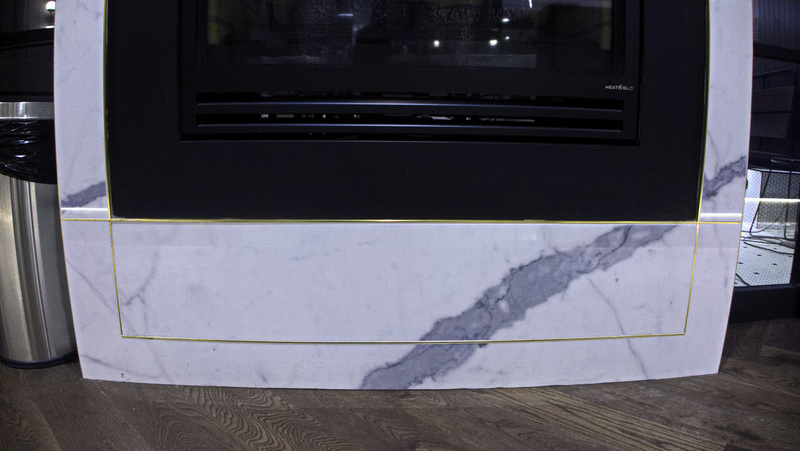 Marble Panel cut to size and installing to fireplace wall. 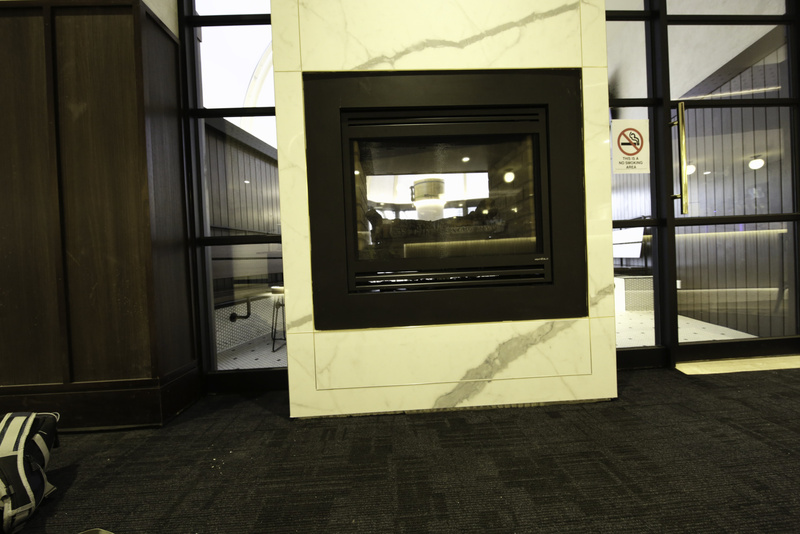 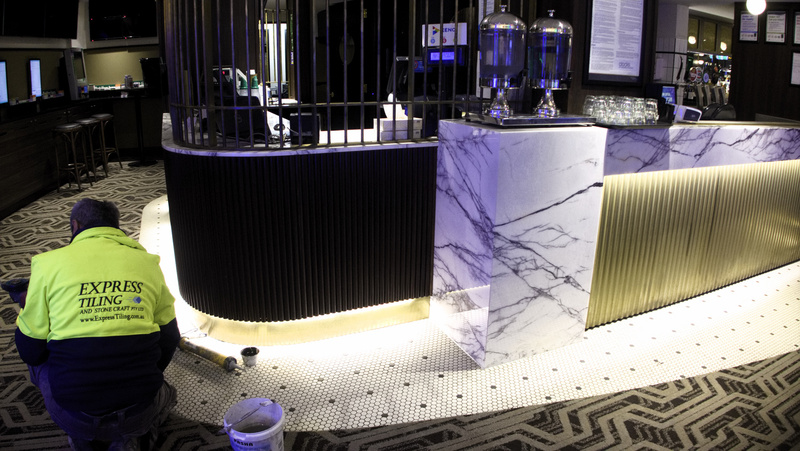 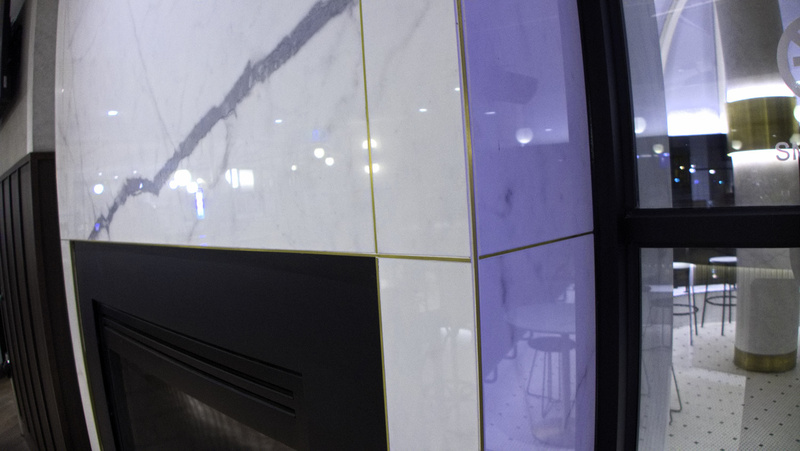 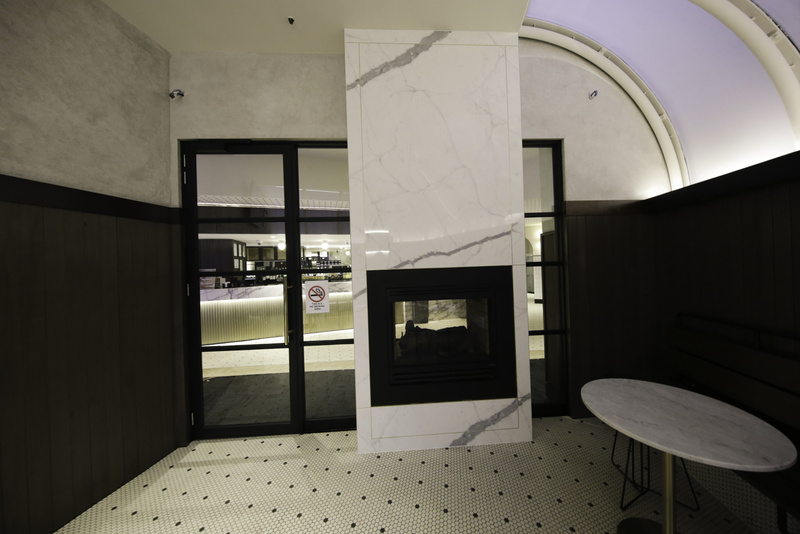 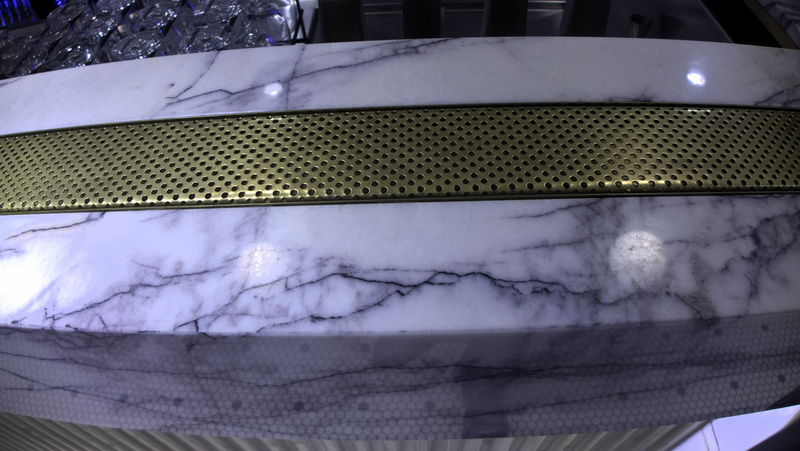 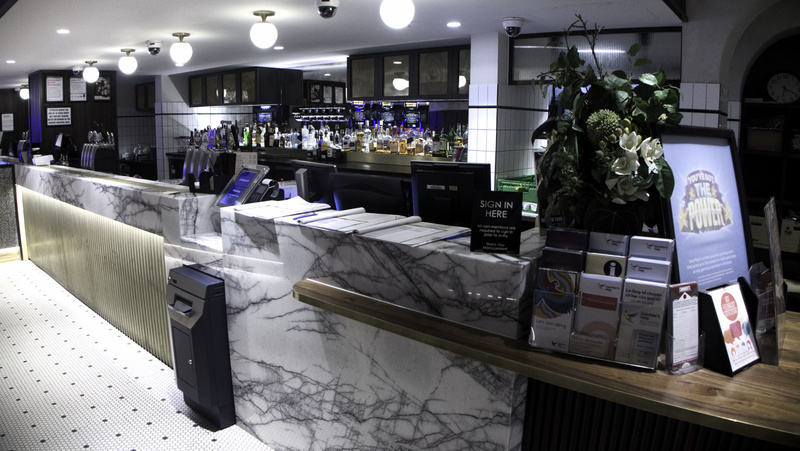 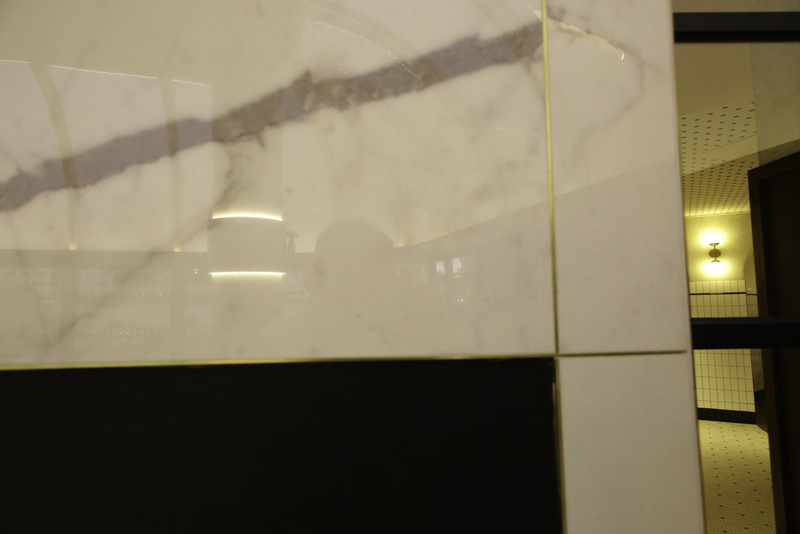 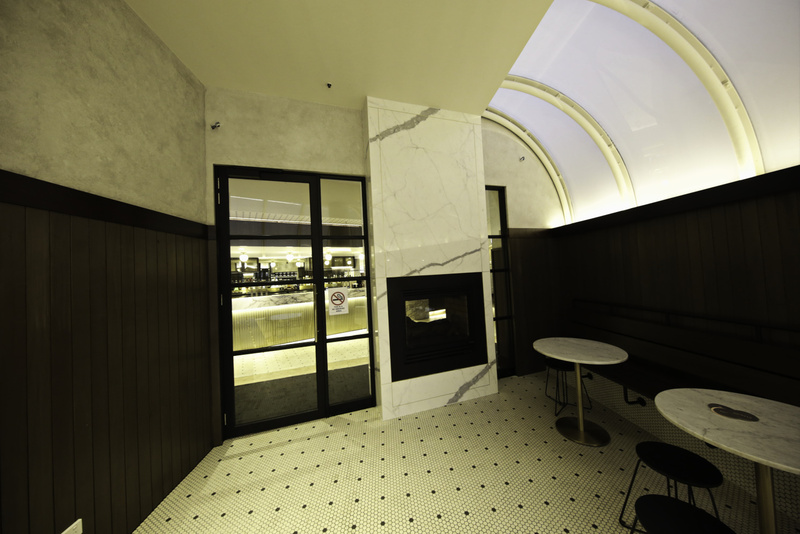 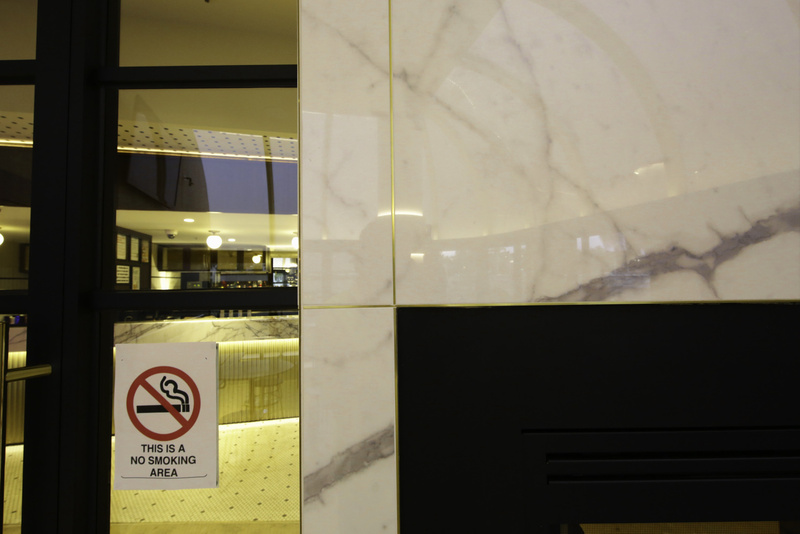 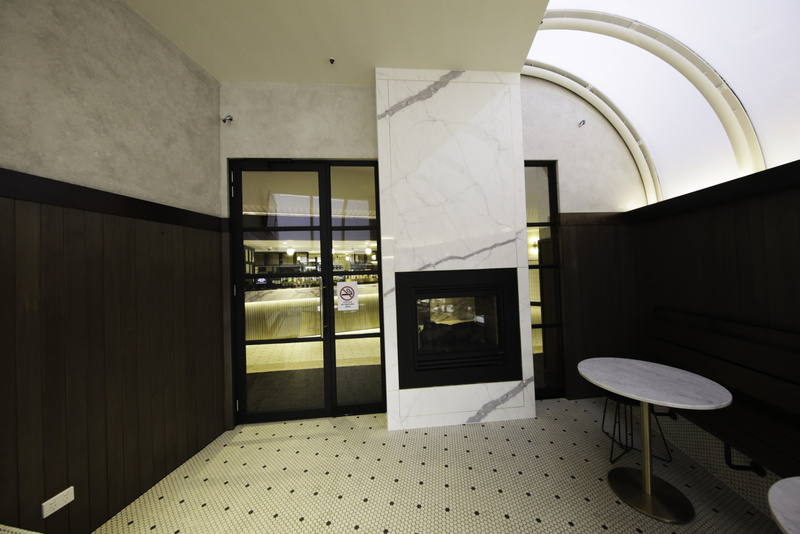 Express Tiling team worked closely with the architect and re-designed the fireplace marble panel with brass trim inserts instead of mitred edge cuts. 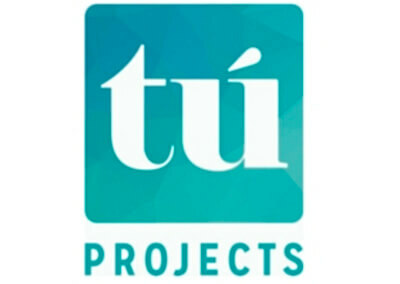 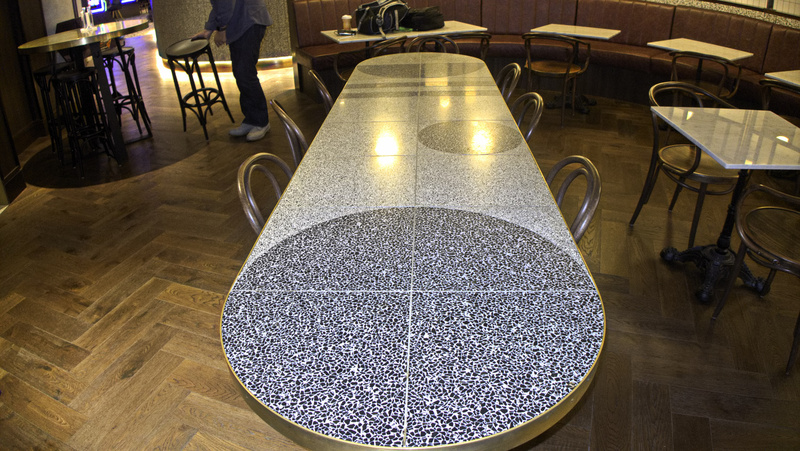 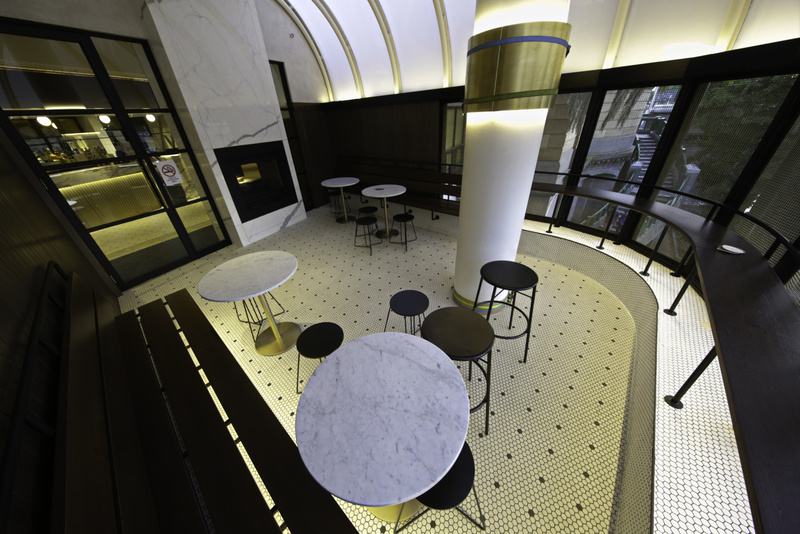 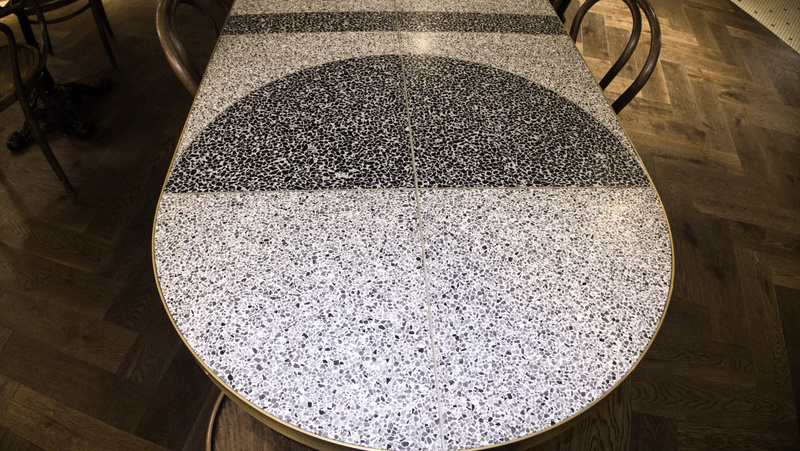 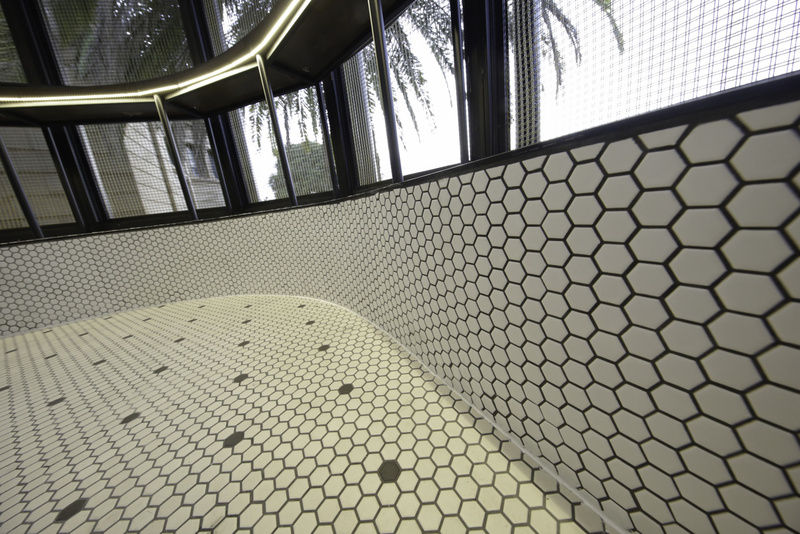 Express Tiling team exclusively worked on artwork tiling, with superior craftsmanship involved in this project. 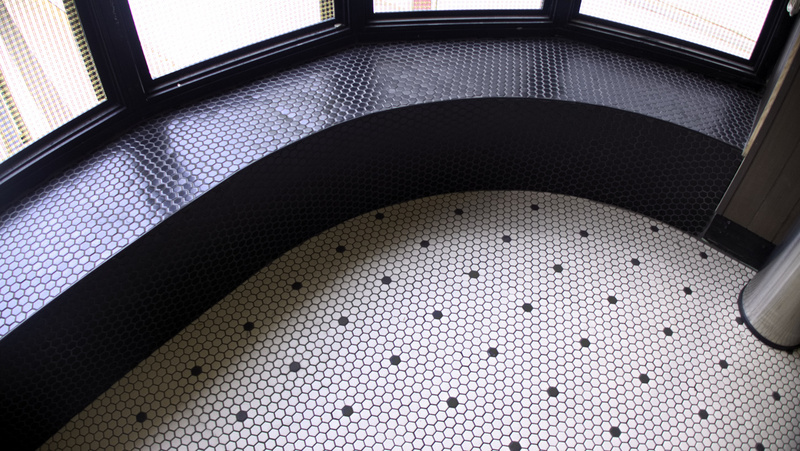 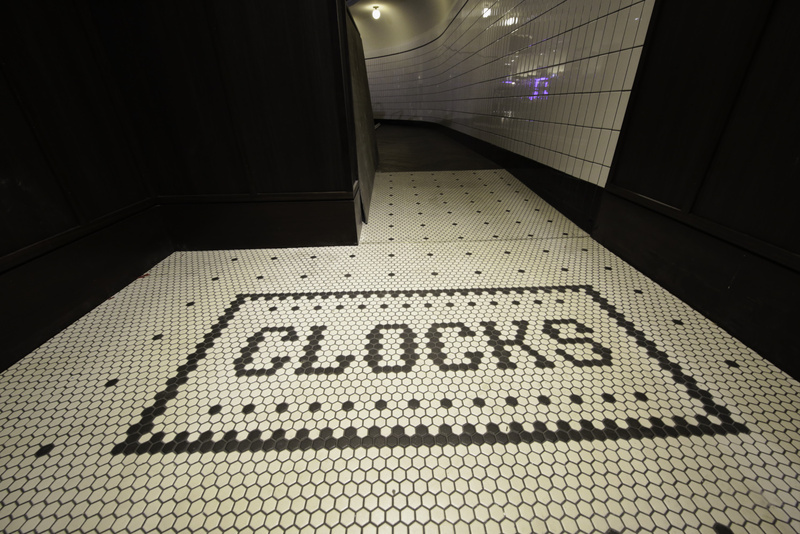 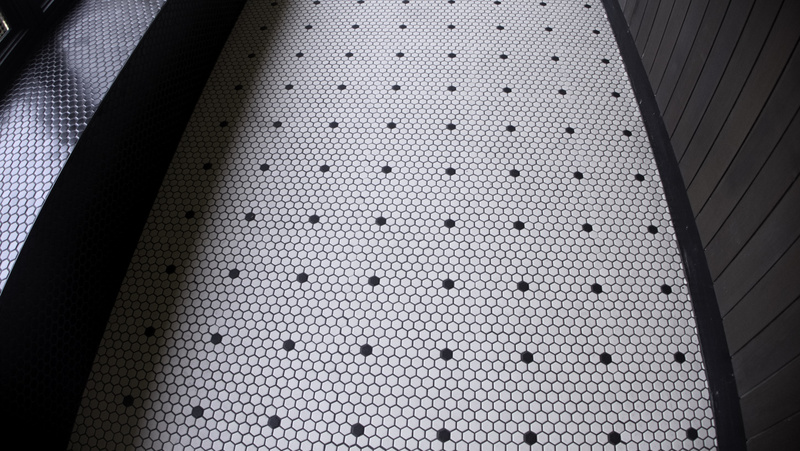 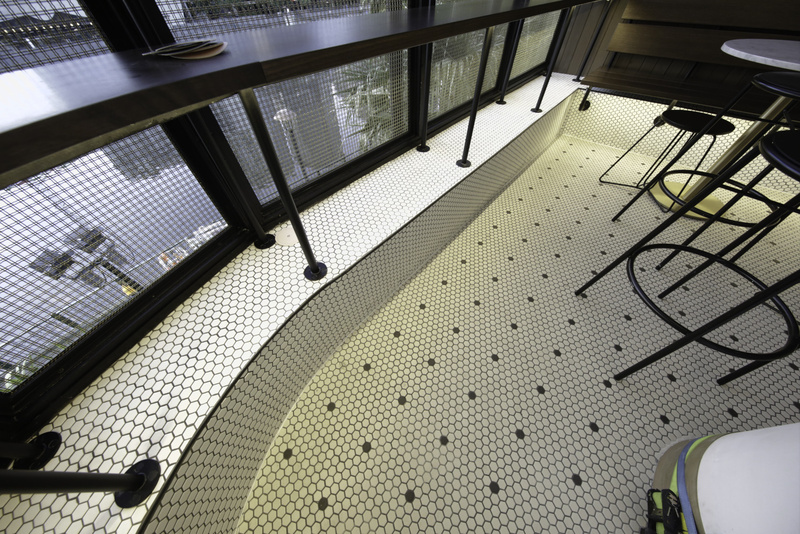 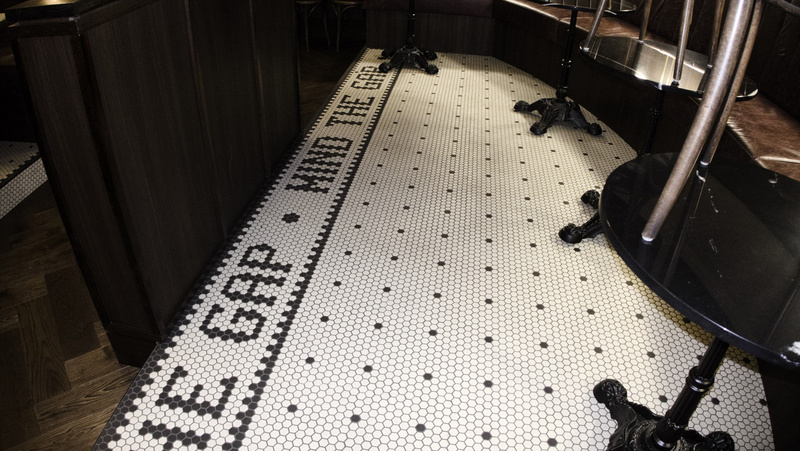 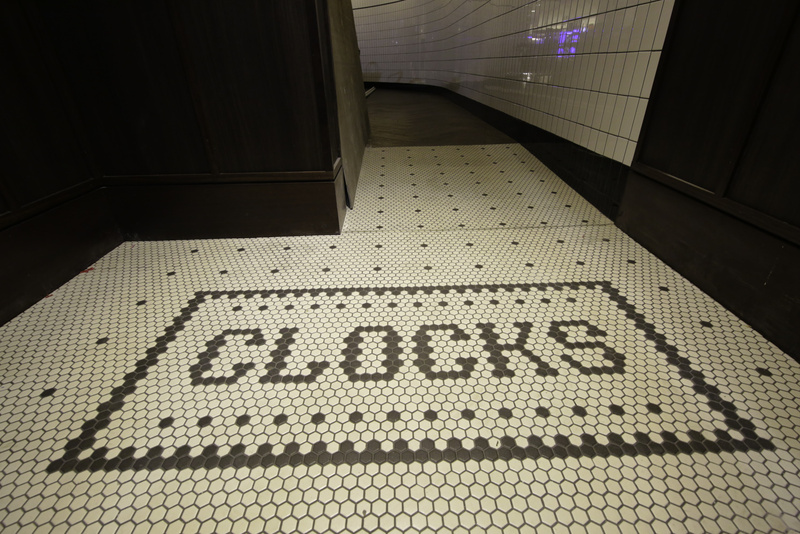 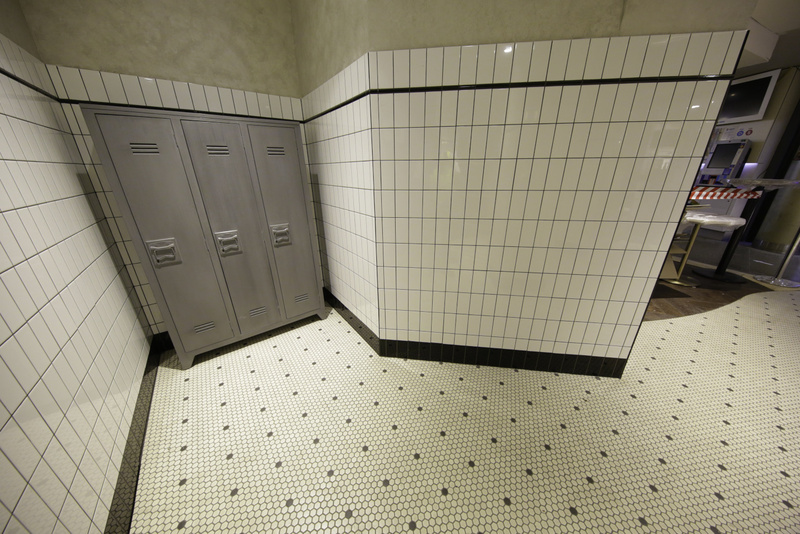 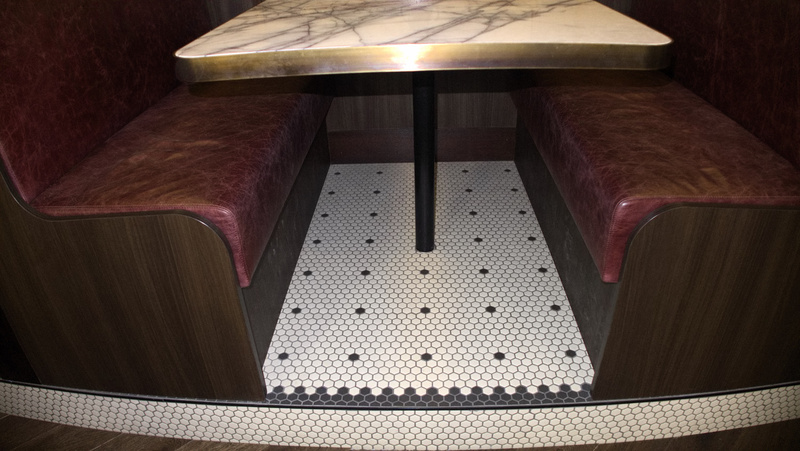 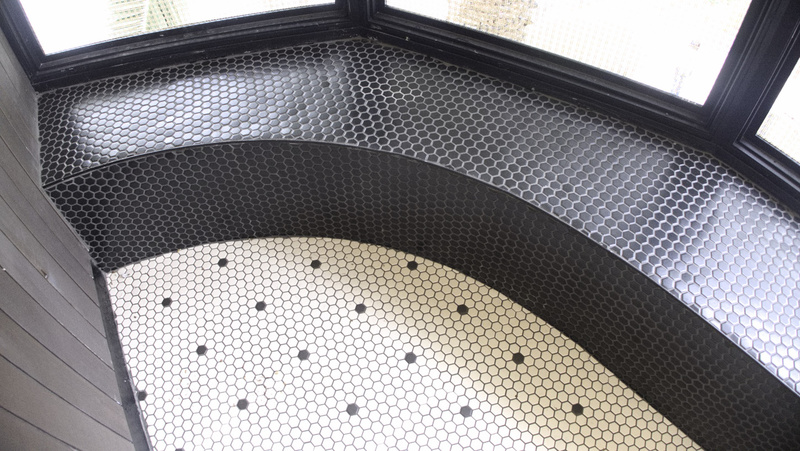 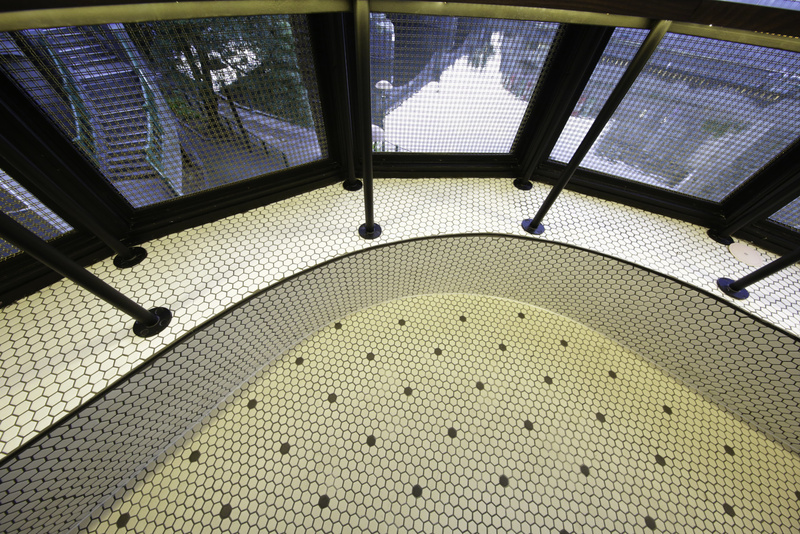 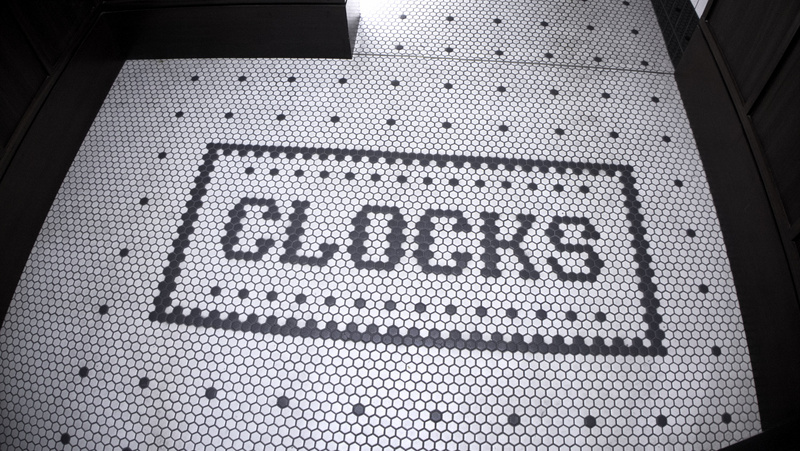 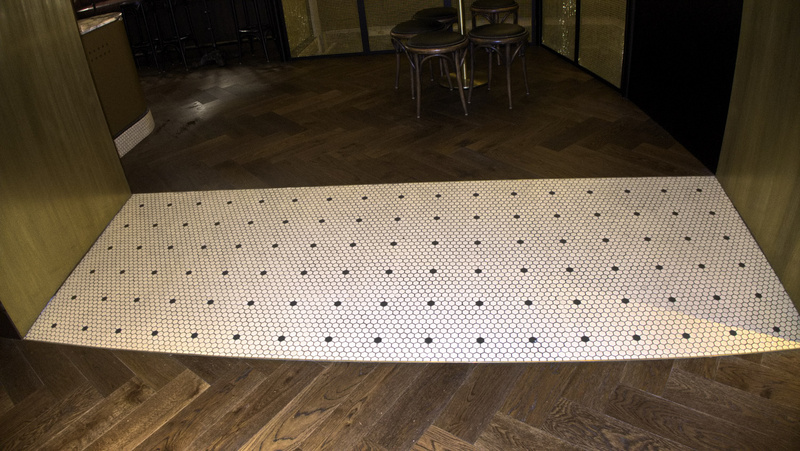 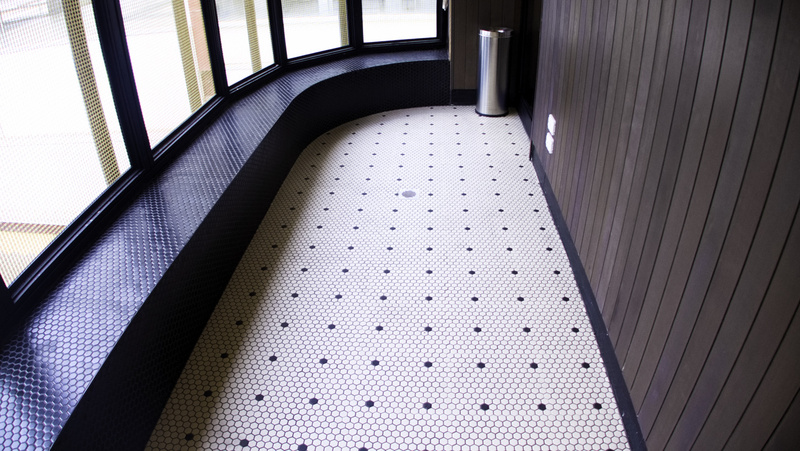 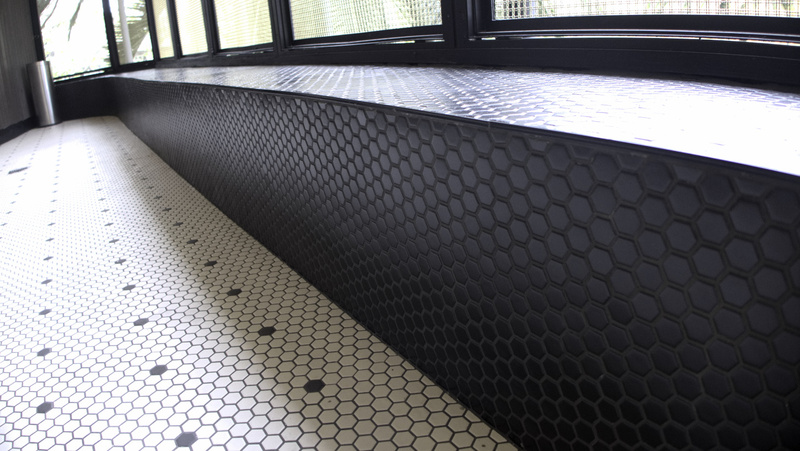 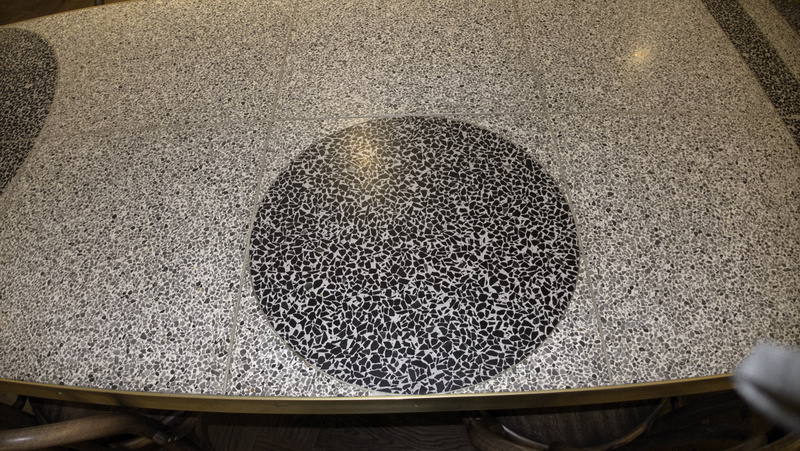 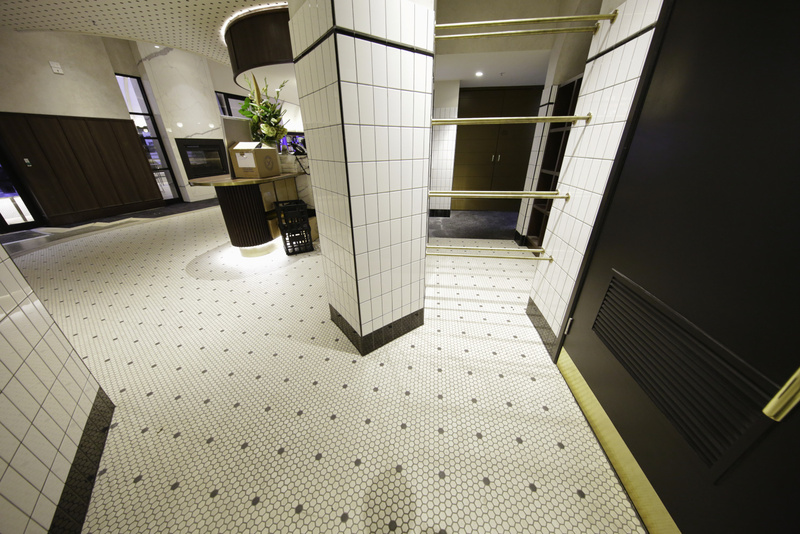 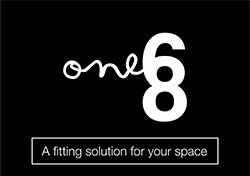 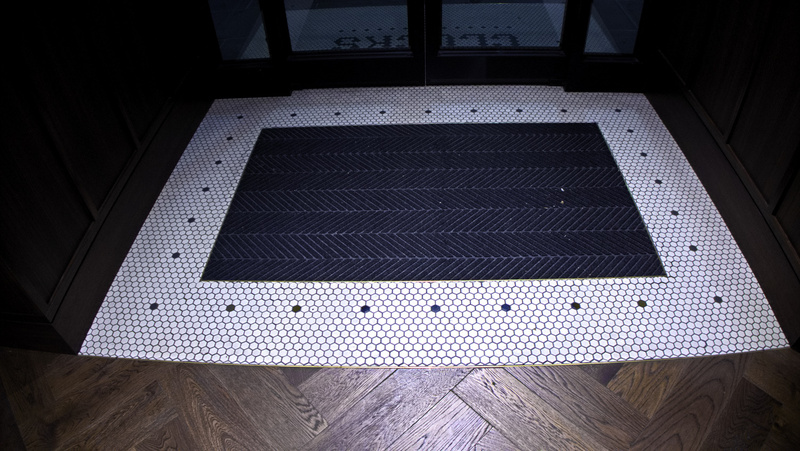 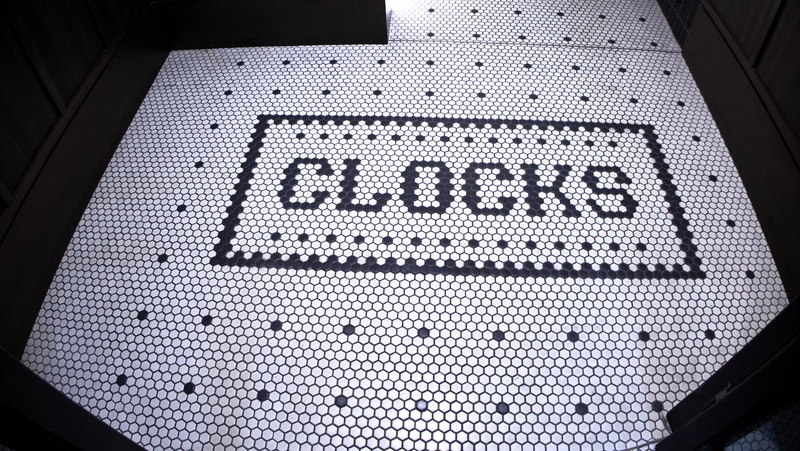 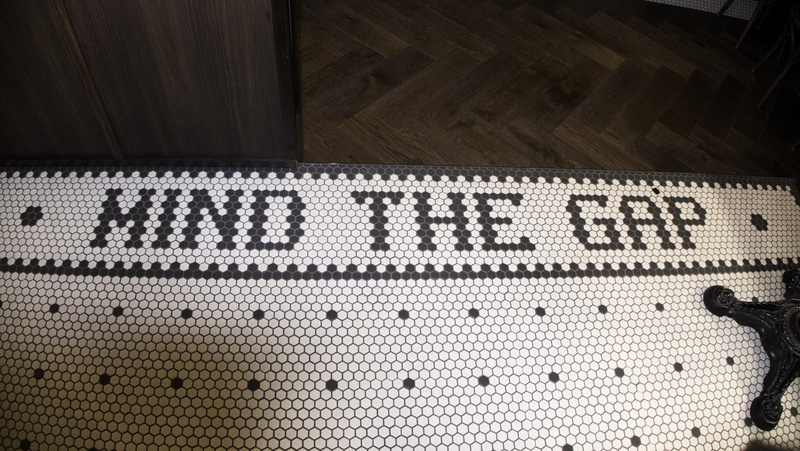 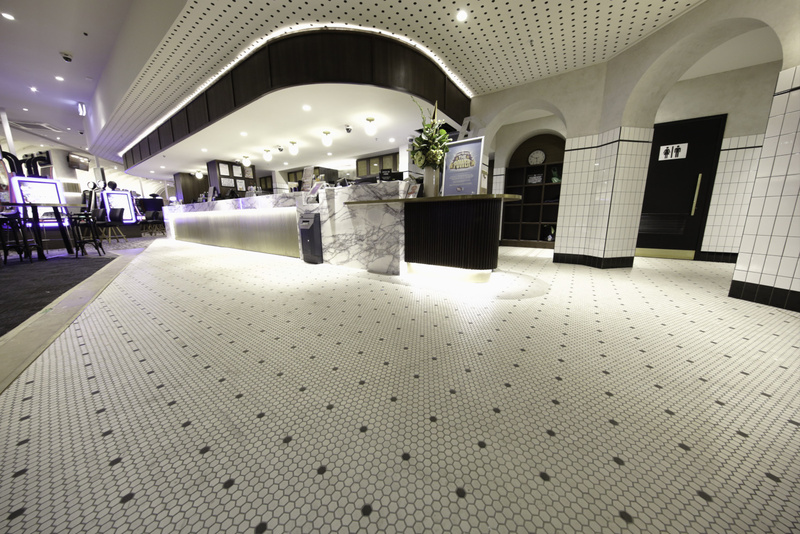 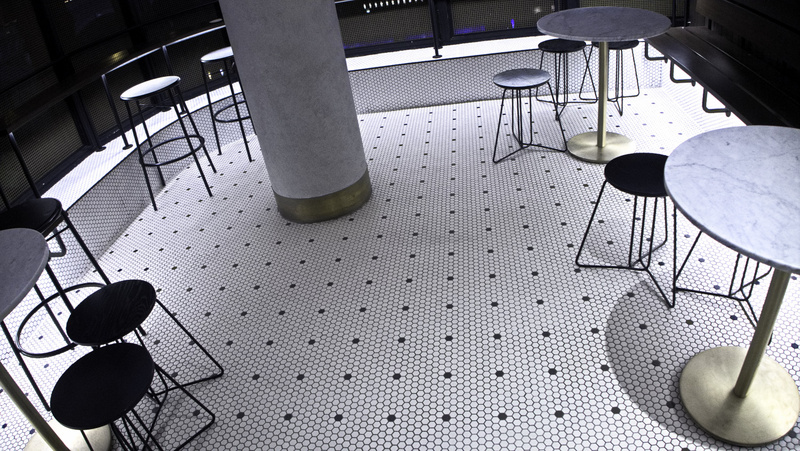 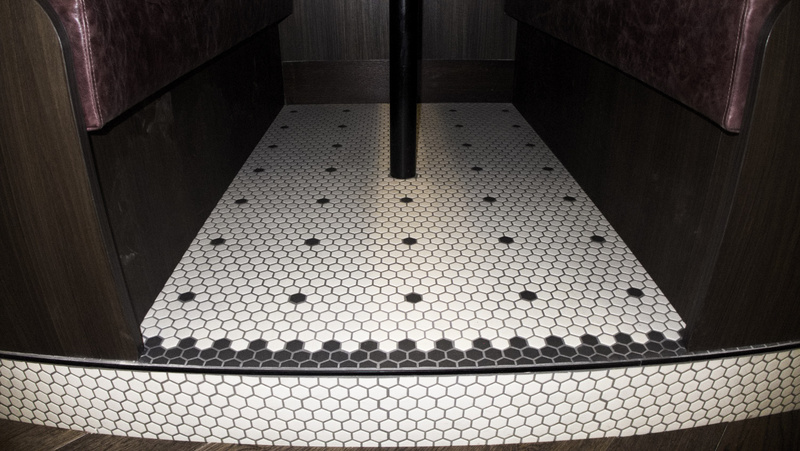 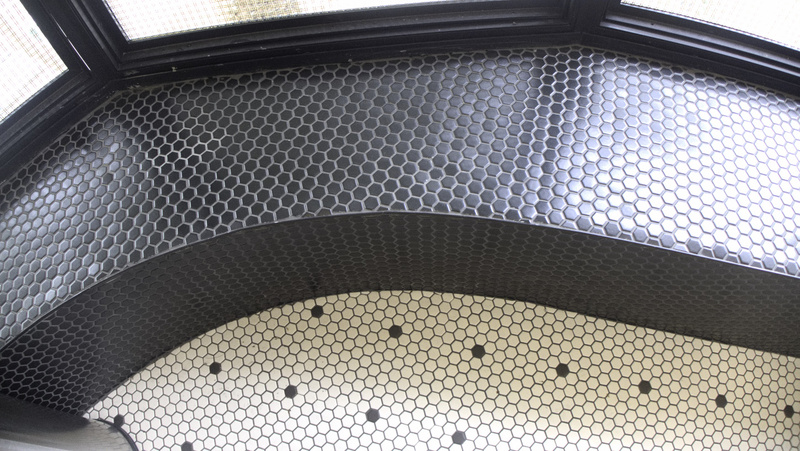 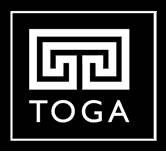 Floors consist mainly of Hex Mosaic tiles, in White Matt & Black Inserts. 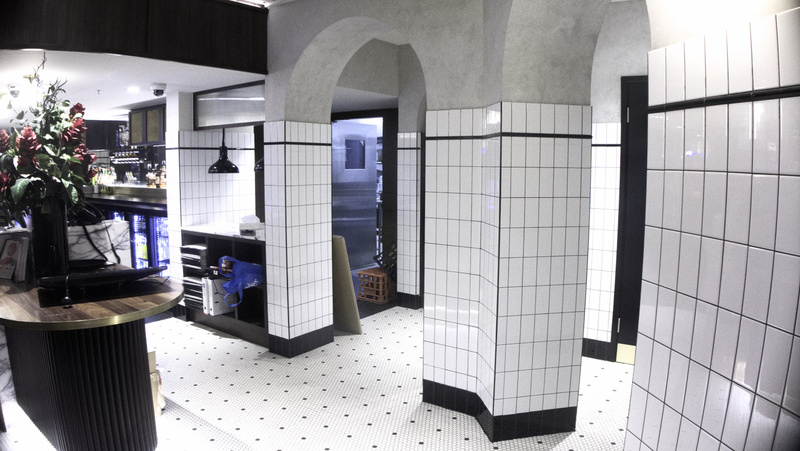 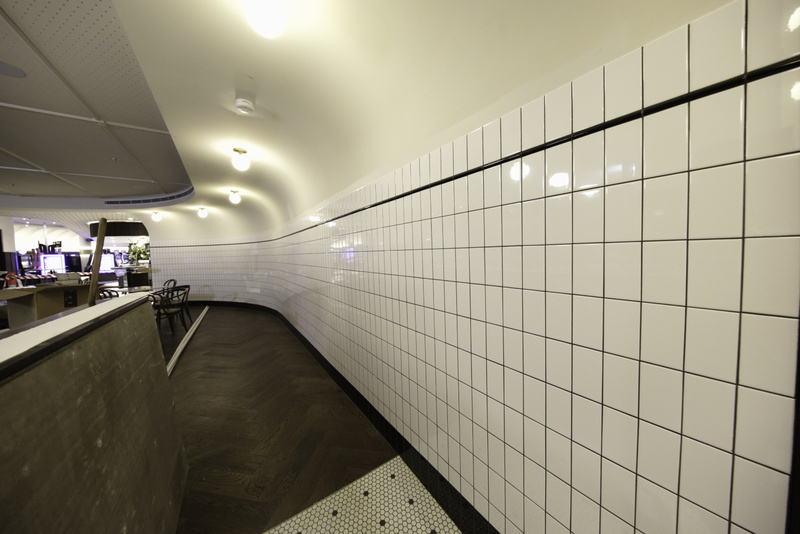 Walls consist of 150 x 75mm Tiles - Subway Bullnose Tiles as skirtings. 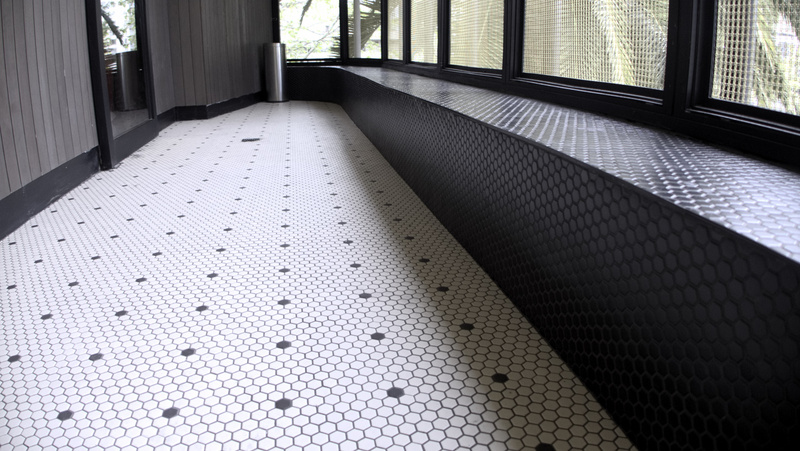 All Amenities also consist of Black Gloss Mosaic Tiles - Bluestone Paving. 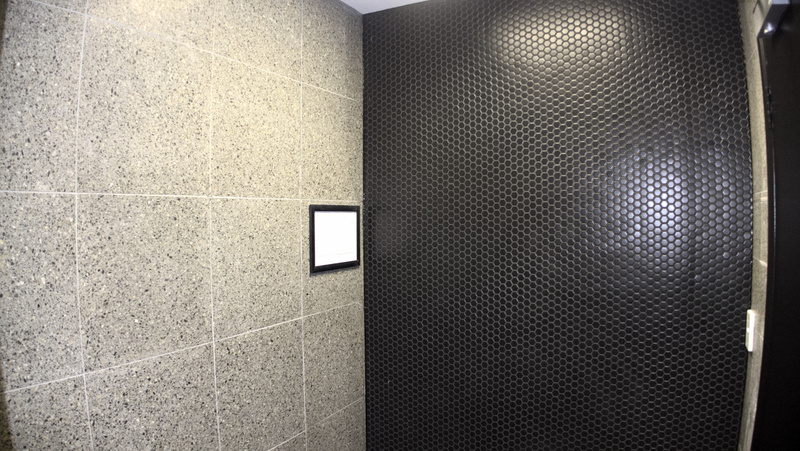 Express Tiling had passed all the metro requirements / documents.